Let me describe the case. An investment banker has worked at a firm for only a few months. Suddenly, the financial crisis hits and he gets sacked. He wants to exercise the golden handshake package in his contract. The firm does not comply and the banker goes to court. After the legal dust has settled the banker has juiced up his package to 20 million dollar. I can imagine, as being a banker, the guy has no idea how to use that money for good. I thought about helping him out. Let us assume USD 15 per day as a minimum subsistence. You can keep 10 times more for yourself: USD 150 per day. On that budget you will be able to live for 90 years. It will cost you a meagre 5 million dollar. You still have 15 million dollar left to use for the public good. With USD 15 million you can have a go at international development. I can assure you that there are many causes that can benefit from your support. I would recommend you to diversify your portfolio. Based on a preliminary research I would suggest two budget lines in your investment. First, invest internationally in educating girls. Second, give housing and shelter for people in your region. Educating Girls is an essential development area according to the UN. There are several reasons why Educating Girls should be on your agenda. First, ensuring that young girls get an education will certainly make your return-on-investment skyrocket. Their education will ultimately bring benefits to the whole community they are living in. Second, it will optimize your feel-good factor every time you are watching TV on your sofa together with your own kids. I guarantee you a good sleep. Something maybe nonexistent during your banking years. Support housing projects for poor families in your own region. Providing adequate housing and shelter to less resourced people is a good investment. As you know real-estate is a good father investment. You can diversify your portfolio by putting in a sure winner. It will make you feel good to see all those people be able to live in healthy conditions without cracking their budget. 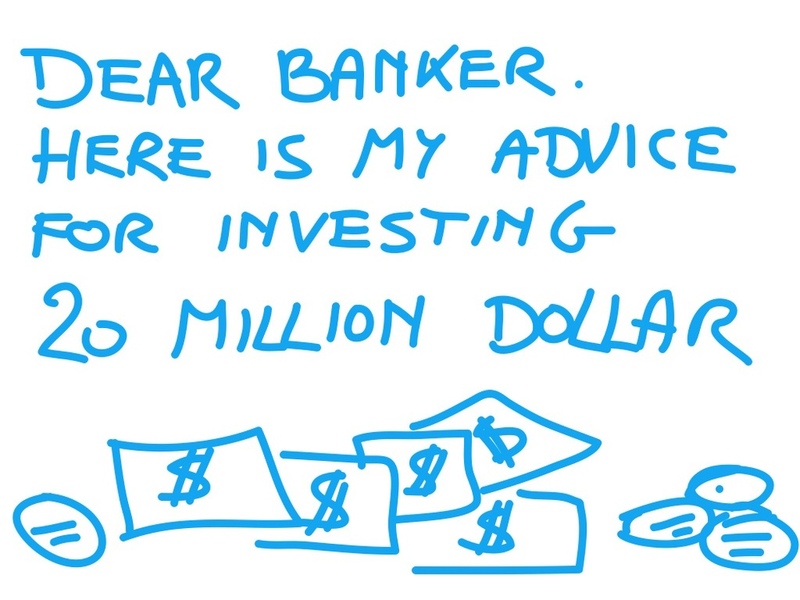 Dear banker you can always contact me to make further practical arrangements for advice on finding a cause for the good. All the best with your investments.